The name Gordon Ramsay has become synonymous with exquisite food and excellent service and his exacting standards are present in every aspect of this superb culinary operation. Maze is an extremely smart boutique restaurant serving French classics infused with Asian flavours the kitchen staff here are obviously trusted with his reputation and deservedly so. 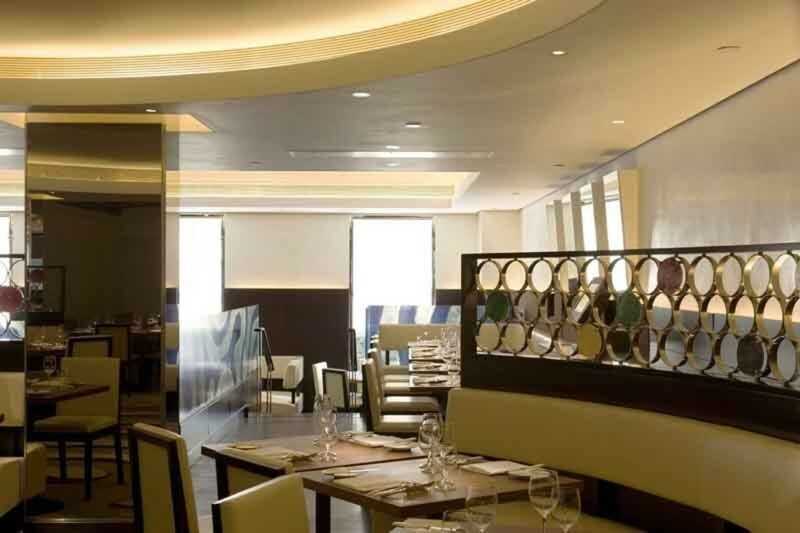 Confidently applying a unique twist on tradition, Maze encourages diners to break from the standard a la carte menu by offering an attractive selection of diverse tasting dishes. Small but perfectly formed, six to eight plates are recommended per meal. For those whose palates enjoy being tantalised and treated with different tastes and textures this is the perfect dining experience. Such a sublime eating experience requires a suitably sublime location and Maze's Mayfair address combined with its outlook over Grosvenor Square gardens has to be one of the best in London. Inside it's all simple, chic modern decor aimed at providing a simple backdrop to the main focus - the food. For those after a bit more stimulation a seat at the Chef's Table provides diners with the opportunity to enjoy an exclusive menu prepared in close proximity. Needless to say you need to book well ahead in order to claim such privileges. The best restaurant in London? Probably. Ramsay style French cooking with a twist, tasting menu and Mayfair location. maze - Gordon Ramsay gyms, sporting activities, health & beauty and fitness. The best pubs near London maze - Gordon Ramsay. maze - Gordon Ramsay clubs, bars, cabaret nights, casinos and interesting nightlife. Where to have your meeting, conference, exhibition, private dining or training course near maze - Gordon Ramsay. From cheap budget hotels to luxury 5 star hotels see our special offers for maze - Gordon Ramsay hotels, including Radisson Blu Edwardian Berkshire Hotel from 88% off.